I lived in the San Joaquin Valley and came here with my parents in the late 50/early 60s. 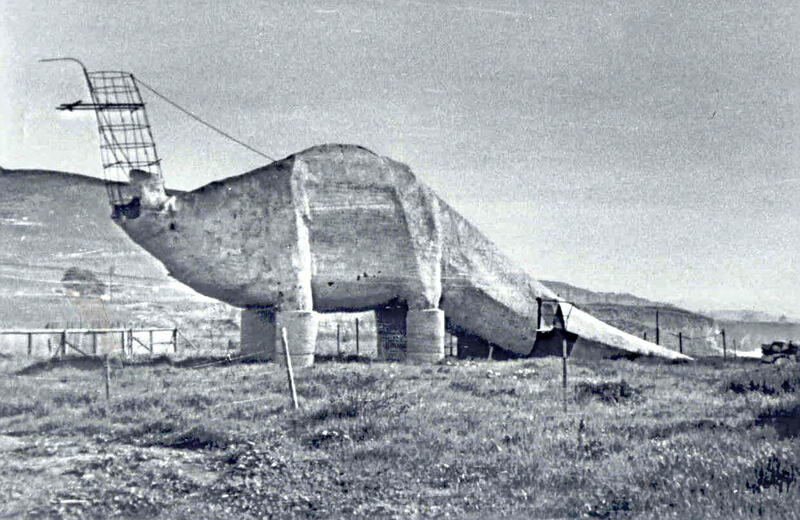 The fully built dinosaur was in place, across the two-lane highway from Mattei’s Tavern. Plessas’ Tavern was also a big deal, as well as Alex’s in shell beach. You are right: they appear to be abalone shells. 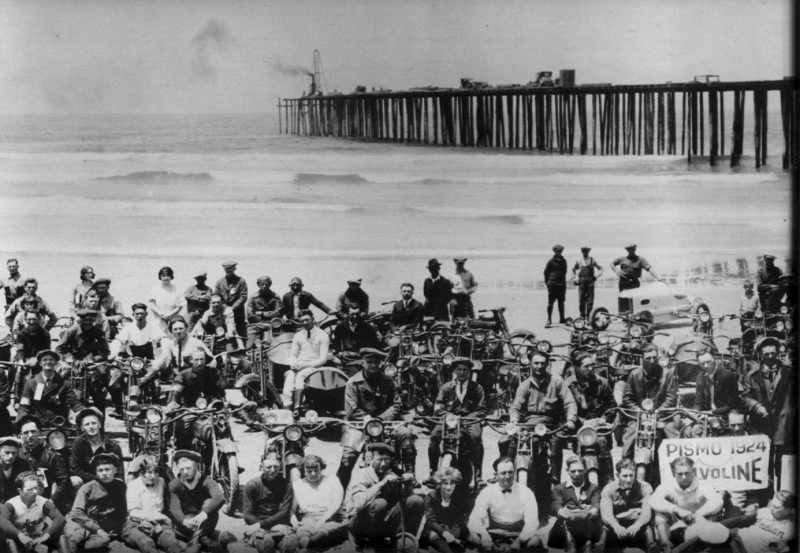 When I was going to Cal Poly SLO and living in (then) Grover City, I would go to Spyglass Point, to a small beach then called either “St. Anne’s Beach”, “Sewer Beach”, or simply “Joe’s Beach”. There were still some shell to find, and even some young abs in the rocky tide pools at low tide. 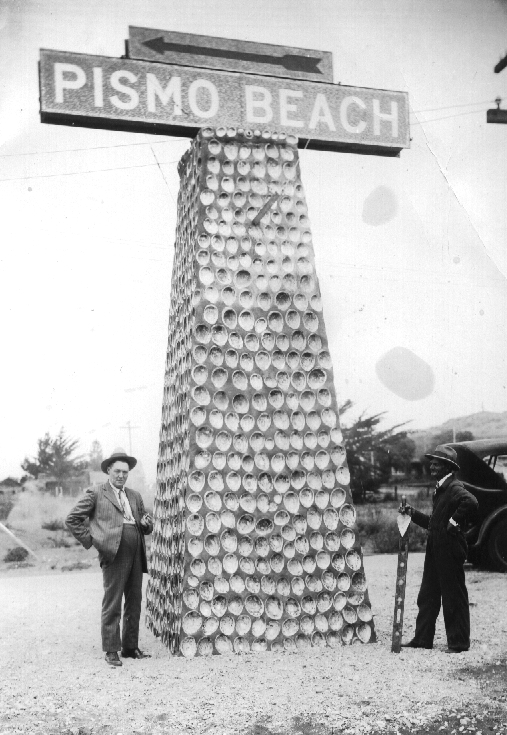 There was (is) an old coffee shop on the main street of Pismo (this used to be 101 until it was bi-passed) whose foundation has a similar decoration of ab shells. It is toward the northern end of the old town.